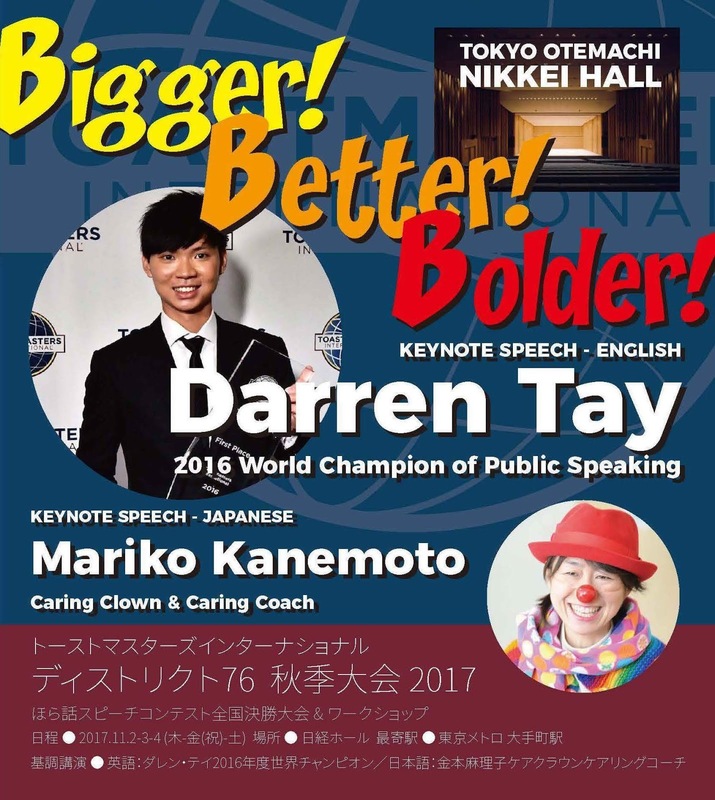 District (All Japan ) Fall conference will be held on 2,3,4 November at Nikkei hall. ■We can check the information on the Website. 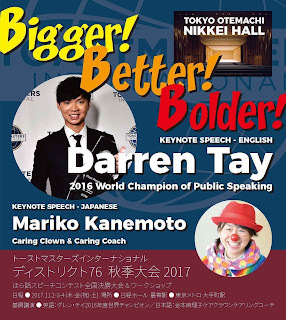 We will enjoy Tall Tales Contest ,special lecture by the World Championship of Public Speaking from last year, Darren Tay ,fantastic workshops that are aligned with our theme “Bigger, Better, Bolder.” and so on at the Fall Conference. ■Resisteration will be opened by 31st October on this website.